The International Maritime Bureau (IMB) released its Piracy and Armed Robbery Against Ships Report for the Period 1 January – 30 September 2012. I often find these reports helpful in tracking trends with regard piracy and armed robbery at sea, but it is important to read the reports with two things in mind. First, unlike IMB’s Annual Report, the Quarterly Reports only cover trends from the beginning of that calendar year to the end of Q1 (March), Q2 (June), or Q3 (September). Therefore, many of the facts and figures quoted in the media and here below may only be for the first 9 months of 2012. It is important to draw comparisons between these numbers and the corresponding time periods in previous years, as opposed to 2010 or 2011 as a whole. Second, these reports only account for reported incidents. Thus, it is possible that the scale of pirate attacks is underrepresented due to underreporting on the part of the targeted vessels for a variety of reasons (i.e., fears over spike in insurance rates, fears of scaring away other commercial activity from those waters, etc). According to the report, global piracy incidents are decreasing – with 233 attacks worldwide, down from 352 for the corresponding time period in 2011. However, of the 233 attacks that took place between January and September 2012, 131 of these occurred in Africa. Of the 131 attacks that occurred in Africa, 70 took place off the coast of Somalia (to include the Gulf of Aden, Red Sea, Arabian Sea, Indian Ocean, and Oman) and 34 took place in the vicinity of Nigeria (to include the area off the coasts of Benin and Togo). Looking at these numbers compared with last year, there’s good news and some kind of bad news. The good news is that last year, there were 199 actual or attempted attacks off the coast of Somalia between January and September, compared with 70 for the corresponding time period in 2012. IMB attributes this drop to a combination of factors such as 1) multinational naval patrols, 2) employment of Best Management Practices for Protection against Somalia Based Piracy (Version 4 – August 2011), 3) use of Privately Contracted Armed Security Personnel (PCASP), and the effects of the SW monsoons. Notice that even as attacks in the Gulf of Guinea are increasing, attacks in Benin in particular have been drastically reduced. According to an Africa maritime security SME I spoke with recently (on an unrelated matter), Benin is apparently far ahead of its West African neighbors in developing a strategy to secure its maritime domain. This may be why, when faced with a sudden spike in attacks, Benin and Nigeria commenced joint counter-piracy patrols last fall. The IMB attributes the decreased number of attacks to these patrols. When compared with Nigeria, which has a 530 mile coastline, smaller countries like Benin and Togo which have coastlines of 75 miles and 35 miles respectively, have a relatively smaller area to monitor and patrol. So this may explain why these joint patrols have been successful for Benin, but not for Nigeria. 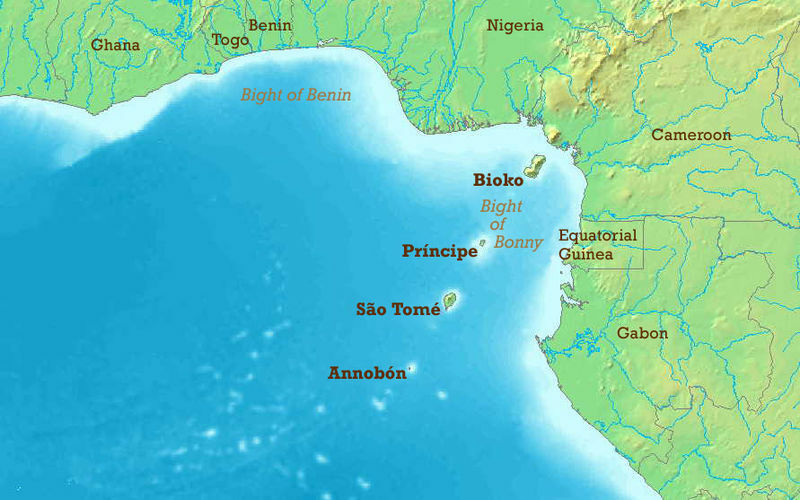 Although I don’t know much about Togo’s maritime capabilities, I suspect that one reason pirates have expanded their range to Togo may be because Benin’s patrols pushed would-be pirates into Togolese waters, where the authorities may not be doing enough to counter these threats. Anyway, if you have any interest in seeing the full 2012 IMB Q3 report, you can request it by filling out a form on IMB’s website. A few minutes later, you’ll get an email with a broken link, but if you email them back saying it doesn’t work, they’ll email you a PDF right away. Earlier this month, Senegal’s recently elected president, Macky Sall, revoked 29 licenses of pelagic fishing vessels belonging to Russia, Comoros, Lithuania, Saint Vincent and the Grenadines, and Belize. This decision came a month after Sall’s first presidential speech in which he declared urgency to act in the country’s fisheries sector, and pledged to review the conditions for granting fishing licenses to foreign ships. Sall’s concern for the fisheries sector may be influenced by the need for a new, more engaged approach to the issue of food security, as well as the potential economic and national security implications of declining fisherman livelihoods. Article 62, Section 2 of the United Nations Convention on the Law of the Sea (UNCLOS) states that a country may authorize other countries to fish in their exclusive economic zone (EEZ). Accordingly, Senegal and other West African countries have had fishing access agreements with foreign governments for decades. However, as demand for fish continued to increase in Europe and other parts of the world, fish stocks have decreased. According to a paper released by the United Nations Development Program, pressure on fish stocks in West Africa increased six-fold between the 1960s and 1990s – mainly due to fishing from European, Russian, and Asian fleet. These large, mechanized fleets often employ fishing practices that damage the marine environment by dragging large nets across the ocean floor, unsettling fish breeding grounds and catching fish that are too small to be sold commercially or below the age of sexual maturity required for sustainable fish stocks. These fleets are also capable of catching, freezing, storing, and transporting large quantities of fish without needing to offload in nearby ports. The size of these fleets and the efficiency of their operations have decimated inshore fisheries and have made it harder for local artisanal fishers, who tend to use environmentally sustainable fishing practices, to make a living. It is estimated that one large trawler can catch up to 250 tons of fish per day, which is roughly equivalent to what 50 artisanal fishermen in pirogues would catch in a year. Depleted fish stocks have implications for food security. The United Nations Food and Agriculture Organization (FAO) estimates that fish provides 22% of the protein intake in sub-Saharan Africa, and 47% of protein intake in Senegal in particular. Fishing practices employed by foreign vessels exacerbate food insecurity by causing fish shortages, higher prices, and a decline in the quality of fish available for local consumption. Depleted fish stocks have implications for economic security. A United Nations Environment Program report from 2002 estimated that Senegal’s fishing industry generates 100,000 jobs, of which more than 90% were in artisanal fishing. An additional 600,000 people are employed in related industries including building and repairing nets and transporting, selling, and processing fish. Additionally, fish caught and shipped in excess of government quotas or treaties, or illegal, unreported, and unregulated (IUU) fishing is believed to result in over $1 billion per year in lost government revenues in sub-Saharan Africa. Depleted fish stocks have implications for national security. There has been speculation that the declining livelihoods of artisanal fishermen could drive them to engage in piracy, as some believe this to be the initial cause célèbre for Somali pirates. While I have yet to see data linking unemployed fishermen to piracy in particular, it is certainly plausible that declining livelihoods could lead to increased involvement in general illicit maritime activity – including trafficking in arms, humans, and narcotics. In fact, last year the United Nations Office on Drugs and Organized Crime (UNODC) released a report that found that fishing vessels around the world were used for a range of illicit activities. However, while local fishermen were recruited for their skills and knowledge of the sea, they were seldom the masterminds of criminal enterprises. The other part of the solution to the challenges to Senegal’s fish stocks has to do with local capacity to enforce regulations. At this point, I do not know if Sall intends to complement his review of fisheries regulations with a review of enforcement mechanisms. But in order to enforce fisheries regulations, Senegal’s maritime security forces would need to be capable of monitoring the country’s exclusive economic zone and being able to conduct boardings, searches, and seizures of vessels suspected of operating illegally. Increased enforcement capability could result in fines paid to the government, which could be reinvested into improving fisheries management and further building the capacity of the country’s maritime security forces. That said, any progress made in Senegal with regard to marine fisheries regulation and enforcement would be compromised by lack of progress on these fronts in neighboring littoral countries. After all, fish do not respect international boundaries.